Today was all about geeking out and mostly for these two who were thrilled to ride on the Millennium Falcon as a part of the preview for the Indiana State Museum’s new Star Wars®: Where Science Meets Imagination exhibit. 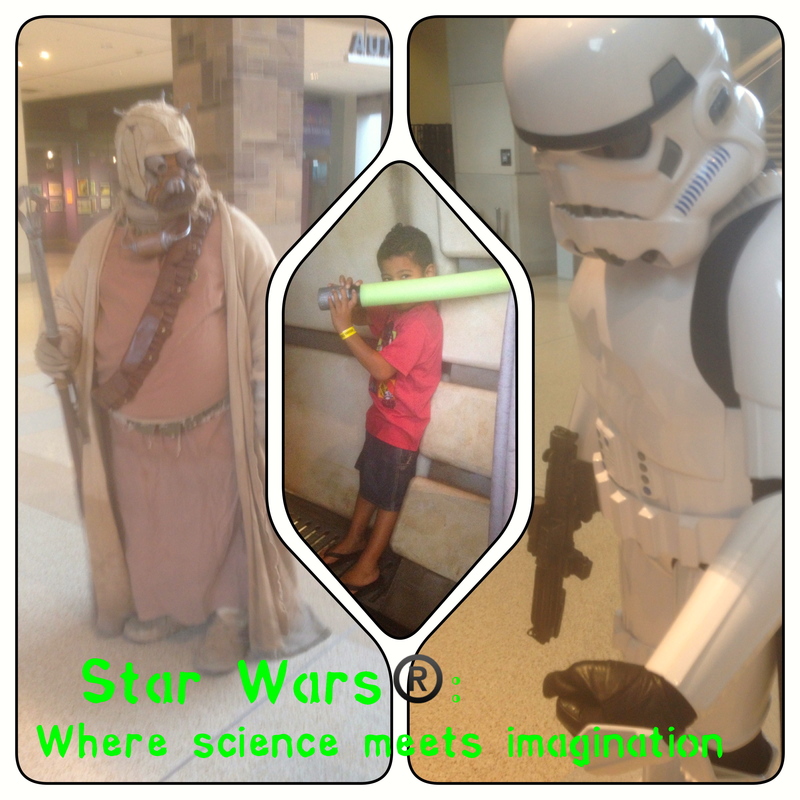 They put on their favorite (not only) Star Wars® t-shirts (that is a Darth Vader t-shirt with the cape), grabbed the pool noodle lightsabers I made last summer, and spent an afternoon geeking out with friends and learning a bit more about the universe. 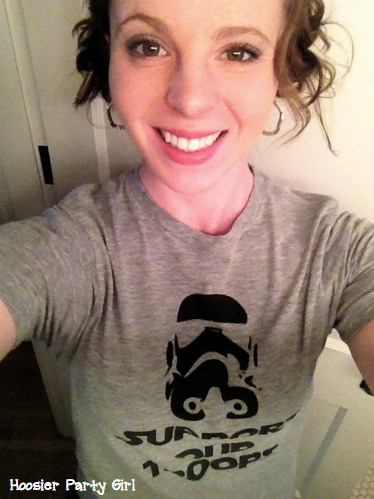 I put my hair back up in my Princess Leia messy buns, but I was totally outdone by all the little girls dressed as Leia (with perfect buns) and Amidala. 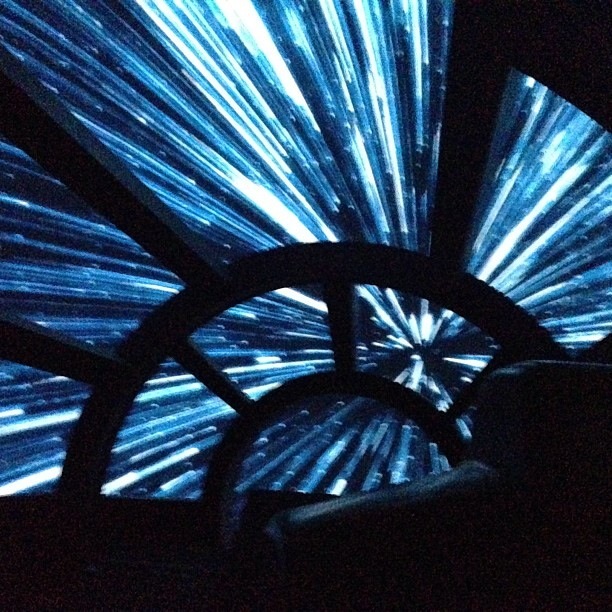 The Millennium Falcon experience opens to the public on Monday. The official exhibit opening is on May 24th at midnight. Click here for more official info. 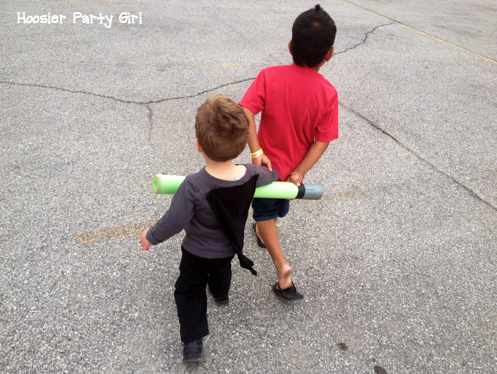 Don’t forget to make your own pool noodle light sabers to take with you to protect you from the storm troopers!